Here's what I'm learning as I go: These are some lessons I've learned along the way. 1. Think About The Story You Want to Tell. Think about the story you want to tell, and how you want your viewers to feel. Each piece should feel connected and consistent. To make things easier, I'm connecting my reselling and my art line by drawing vintage inspired scenes and items. 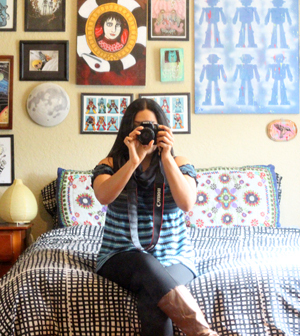 My style is illustrative, whimsical, and colorful, just like my thrifted finds! 2. First, Do It! Then, Find the Right Pace for You. Is quantity really better than quality? Will I sell more art if I bust out as many pieces as I can, as quickly as possible? 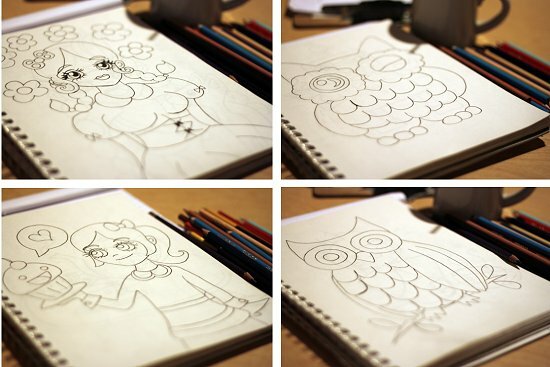 I decided to sketch ideas quickly, but only finish and include the best one in the line to find out for myself. You'll have to find the pace that works for you. 3. Try to Create a Little Every Day. My speed drawing, scanning, and producing hasn't been in vain- it's excellent practice! I'm going to find a way to incorporate plenty of daily drawing into my schedule again. 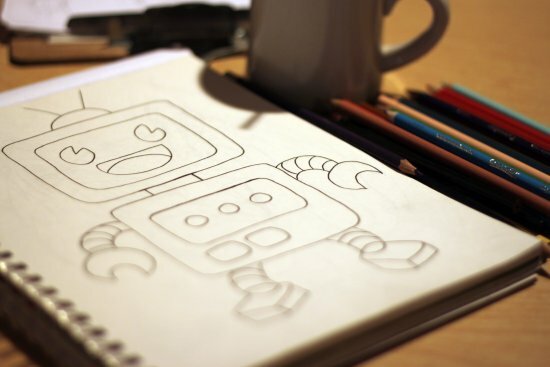 You should create a little every day, and schedule a bigger block of time for creativity at least once a week. It's hard when you work full time, but actually scheduling time to create will help you move your line along. 5. 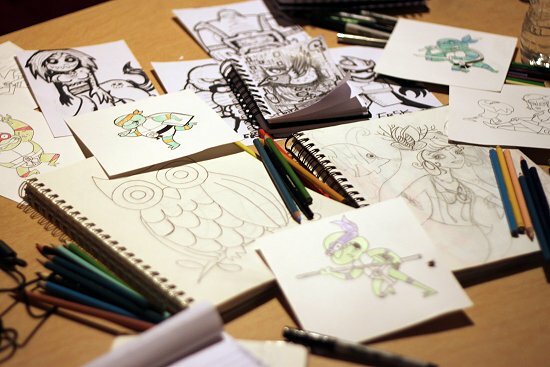 Create with Friends, Curate a Creativity Group. Comradery with creative pals helps you get things done. Designate a time and place to meet, bring your supplies, and get to work! 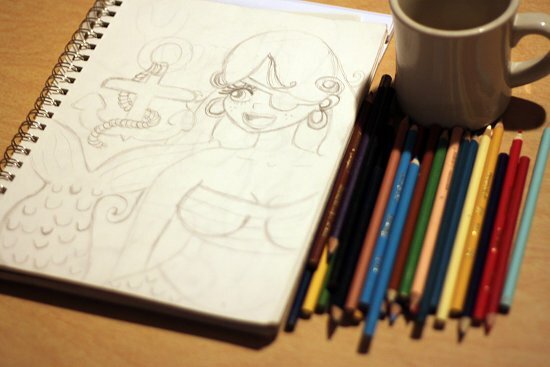 I meet with friends once a week at our favorite coffee shop to draw and craft. How do you get creative and get things done? I'm no pro, but this is what I've learned over the past month of working hard on creating a new art line. I'd love to know, your tips for getting things done, getting creative, and making arts and crafts of your own! 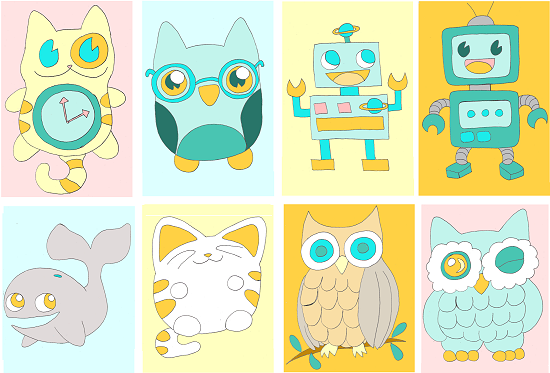 Ahhh owls and robots! Love it. I'm not not of an artist when it comes to drawing. I remember sketching a portrait of my boyfriend at the time and it ended up looking like David the Gnome. Remember that show? He looked like the gnome...if the gnome was illustrated by a ten year old. I just have to keep at it, I suppose! There's a market for everything, Jackie. People love Gnomes! Draw a series of them, get rich, live in a mod house by the beach ;) ! Always inspiring Van, keep it up! Jil & Jessica: Glad to inspire! I too try to carve out personal creative time for myself on a daily basis and the way I seem to make it work is to first begin with a manageable list of chores, work on things first thing in the morning, without interruption, or distractions, then, sometime in the afternoon I spend being creative. Sometimes it's one hour, sometimes more..but I feel like I worked hard for the pleasure of it and the guilt doesn't sideline me. I also try to stay away from the computer during that time and listen to my music of choice cranked up as loud as I want it!! Carla: All excellent tips! I need to be better about scheduling DAILY creative time.